David.Y – You have to be able to accept failure to get better. "Lebron James"
You have to be able to accept failure to get better. "Lebron James"
Before getting to learn about angles I think it’s just an easy topic for kids to learn. I also think that only measuring the angle is adding to the topic but it’s just thinking. In reality, all the math topic is hard. Read this until the end if you want to know about Angle. Round 4 is nothing much different from other round but just different topic of math. 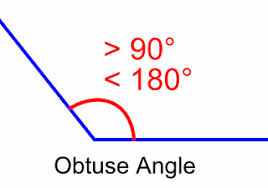 Angle is also one a topic in math. For this round, I have learned about how to measure the angle in the weird shape and plus the angle. Also, I learned some word which is related to angle, but I did learn a lot of them from last year already, somehow I think it’s just a review from this round. 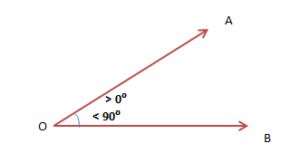 Acute is an angle that is lower than 90 degree and Obtuse is an angle that is higher than 90 degree but lower than 180 degree, the equilateral triangle is a triangle that has their three shapes equal to each other and the isosceles triangle is a triangle that has two same shapes and one other different shape. In the other hand, all of our students should know that in a triangle there should be 180 degrees. Besides that, I understand how to solve the problem of angle with less clue and in 2+ shape combine together. I encourage you all to learn math harder because all the lessons in math are harder than you think and most of the thing in life is using math to solve a problem. In my opinion, math is the most important topic to learn, in real life math have been used everywhere. Decimal is a part of math too, which all you know. So, for this round, we did some practice on decimal or we just call review on it because we already been learned it. So far, the exciting thing for this round is has upgraded our math workbook from 5A to 5B and it’s really happy. 5B is not much different from 5A but the hardest part of it is algebra. In 5B we have algebra but not this time yet, maybe at the end of the book we will start to know more about it and I feel like it is complicated for me to learn that kind of messy lesson but I hope in the future it will get easier. After 7 weeks we have changed from exploration to another exploration. So this round I has got into an exploration called Traditional Food which we learn about Khmer Traditional food from history but, also we working on some skill like interviewing, editing and capturing and more. I feel like Khmer need to get back for the food again because nowadays Khmer food has lost a lot. Khmer food is good as any other food if we can get it back and also as we have interviewed a professional chef in Siem Reap, he said that Khmer Food and Cambodian Food is different. Cambodian Food is the food that we have eaten in Cambodia no matter where it is made from and Khmer Food is the food that originally creates by Khmer people from the past. Nowadays in Cambodia, there is a lot of Cambodian food which not originally made in Khmer. 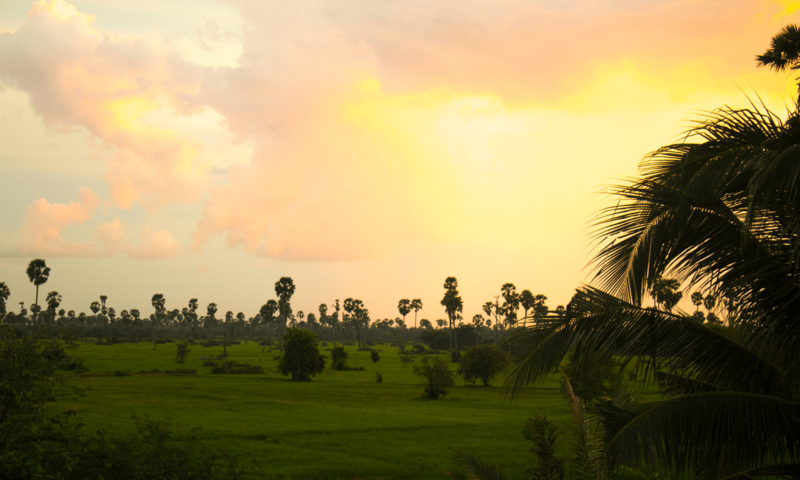 Also, I have edited a video of Cuisine Wat Damnak that is located in Seim Reap. Photography is one of the important subjects to know about because the photo can show us the meaning of it. So, we also put on photography subject for this round which we learn how to take the photo and use camera setting. I feel that it is important to know too. For round 2, STEM is focusing on the chemical bonding and all the element in the periodic table. The chemical bonding is one element bond with other and the brand new element. I really to learning this because I want to know the bond or something. Now we are learning how to write an essay for Literacy class in round 2. We just start learning how to write Thesis statement. To write essay we have to find a topic that is useful, debatable and informational. Round 2 of math we are focusing more on plus, minus, time and divide fraction and also we are now on a project call ratio. It was really fun to learn about ratio and also it’s educational. We are almost finished 5A book now. Every round in Liger we all the project called exploration which is used 7 weeks to finish one of the explorations. Exploration is meaning to learn by exploring so, when we learn we don’t just sit and learn, we go outside and explore the world. On my first round this year I have an exploration called set design which we are going to create a movable theatre that can move to anywhere and show the performance, especially rural area. We are going to make this theatre in a van and now we have a plan to buy a track and design our theatre on it. But we still have some problem with money. I really feel happy to be in this exploration because I’m the one who loves to see the performance and if we have this theatre it would be great for me. Start on this year, Liger had at one more subject to junior which is Multimedia which we learn how to get more easier of research and now we are on an intro to coding because round 2 we are going to learn to code too. We did many activities in this class to get more idea of how to do something. I really enjoy learning this way because sometimes when we get stress we can rest by doing this kind of activity and also it’s fun and we learn from it too. My name is David, I am 13 years old. I was born in Kandal Province and actually I am living in Phnom Penh, Cambodia. Liger Leadership Academy is my school and Liger is the base learning school. 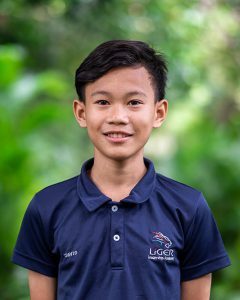 I hope in the future Liger student is the change agent and also in the future I will be the change agent. Liger Leadership Academy is my second family because I stay there, I eat there and I learn there.